Attract new customers and keep them coming back with Digital Dining’s Frequent Diner program. Digital Dining gives you the tools to create and maintain customer loyalty through reward plans while increasing sales in your restaurant. The customer database stores vital customer information that helps you get to know your patrons and their preferences and then create promotions that cater to those interests. You can select customer information by specific interests and print mailing labels for those customers only. Rich with features and configurable for any type of restaurant, Frequent Diner is the most robust integrated customer loyalty program in the industry. We include Frequent Diner in the Digital Dining Professional suite. For restaurants with multiple sites, we offer Multi-store Frequent Diner, which enables customers to use a single reward card to earn and redeem reward points in any location. Create and maintain a customer loyalty database of up to one million records. Restaurant staff can create new customer records in either the Back Office or at the POS. You can also set up a stand-alone Frequent Diner kiosk that allows customers to enter their own information and enroll themselves. Create up to 99 unique frequent diner plans that reward customers based on the dollar value of menu items purchased, the quantity of items purchased, the number of their visits, or by the specific items purchased. Frequent dining customers can automatically progress from one plan to another as they reach each reward level. You can create customized frequent diner reward coupons, customer status reports, guest checks, and prep tickets that automatically recognize a customer and personalizes the dining experience. 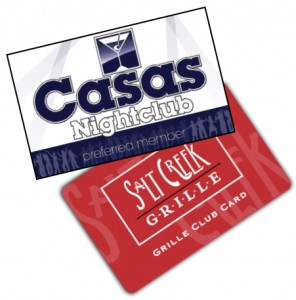 Digital Dining provides a wide array of customer reward options. 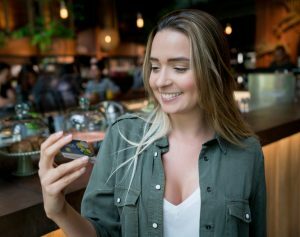 The restaurant can reward customers with coupons generated automatically at the POS, coupons printed in the back office and mailed to customers, or store credit that is redeemable for future purchases. Track customer purchases toward specified customer loyalty goals such as a specific dollar amount spent or number of a type of item purchased. Digital Dining’s customizable reports allow restaurants to track frequent dining customer purchases toward specified goals, such as a specific dollar amount or a specific quantity of a certain type of menu item. Create and customize special features for specific customers or all customers in a specific customer loyalty plan. You can link customers or plans with features that will automatically trigger the POS to offer instant discounts, change the price level charged, or even change the menu. Record and track customers’ special occasions (such as birthdays and anniversaries) and special interests (such as charity organizations and local sports teams) for personalized targeted promotion. Generate mailing labels from the customer database and send coupons and promotional material to customers enrolled in specific frequent dining plans. Track complaints by frequent dining customers and issue customized and personalized coupons based on specific complaint reasons. Analyze the popularity and cost of each frequent dining plan with a wide selection of customizable reports.